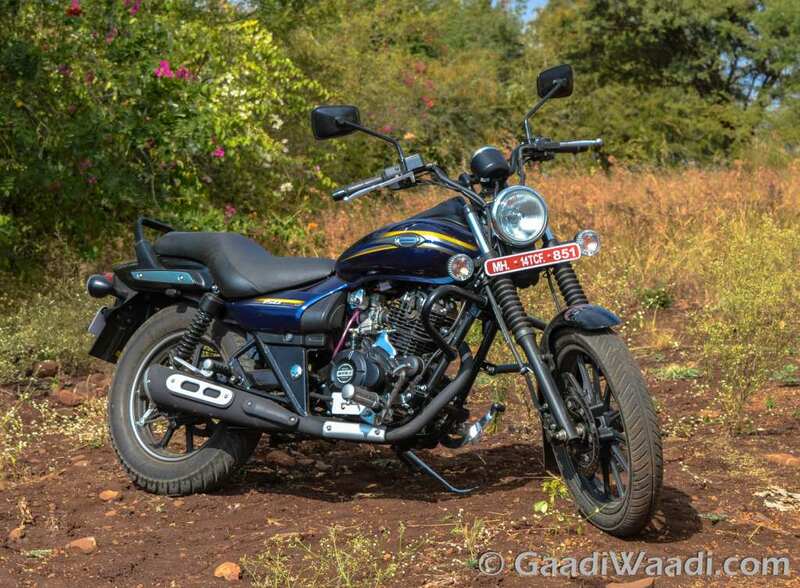 2016 Bajaj Avenger Street 150 Test Ride Review – It is a kind of attempt to invent new class from the existing, Is Avenger 150 Street a superhero for Bajaj? We find out! HULK SMASH! 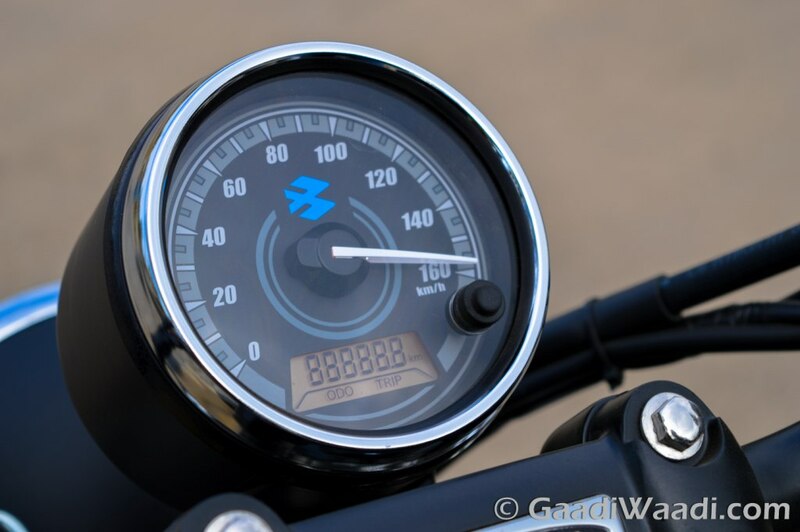 That is the year 2015 for Bajaj. 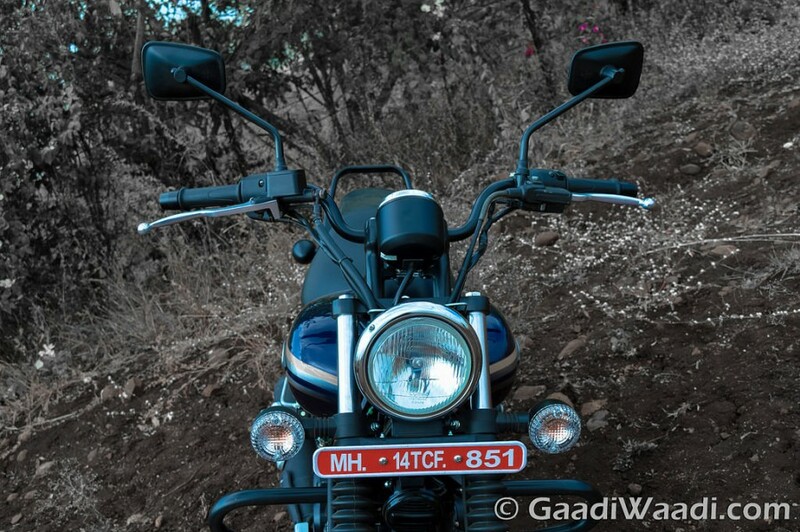 The Pune based company has been launching products one after the other and we have been riding them too. The company has taken a giant leap in engineering the day since KTM has been under its kitty. 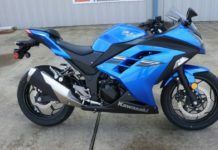 The Pulsar range has evolved massively despite every bike that is a success is a 200cc. 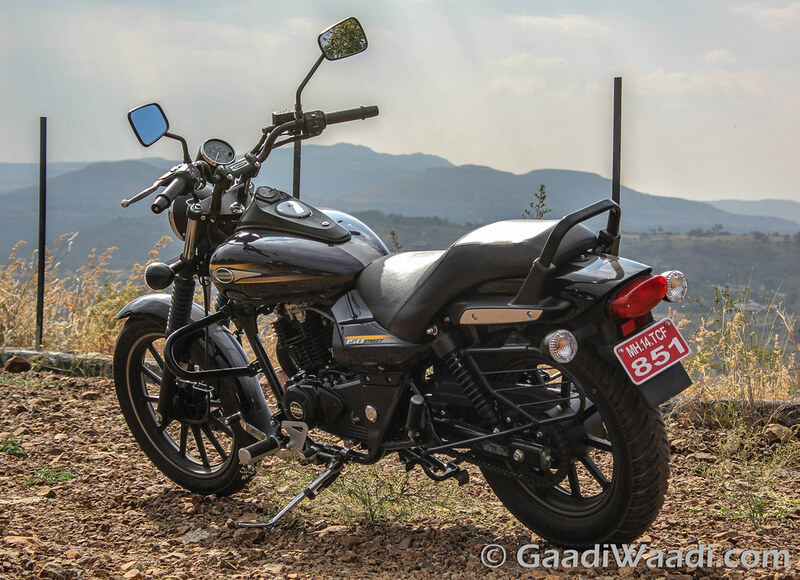 Not to forget the 150cc engine which is making its way in a motorcycle named Adventure. 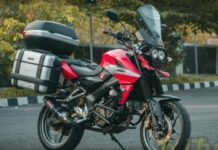 Bajaj only had the Pulsar till date, as its one of the most successful brands in its kitty and today, it is one of the known sub brand worldwide despite not sold globally. They plan to do the same with the Avenger cruiser motorcycle. Obviously, when you take a bike and make it brand by adding two models to it that is what you want to do. Capture more of the market. Avenger has enjoyed the same fame as the Pulsar, but in more silent manner. Today we are testing one and it’s the 150cc variant. 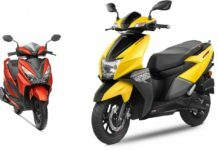 Yes, now after Adventure series, the 150cc variant makes it to the cruiser segment as well. 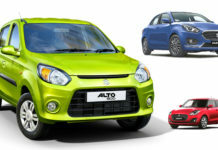 Let’s not forget sporty category and commuter categories also have roughly the same engine. Here, it, plays a different role, like an actor in a movie, let’s call the movie Avengers, shall we, and see how this actor performs? Get the popcorn and hop on! Styling is the best part despite the fact it shares almost everything with the elder siblings. People will appreciate that the color is only differentiating thing and the rest of things are the same as the 220 series. The Street 150 has what the Street 220 has. 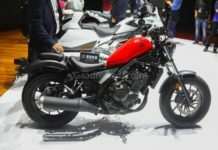 Gators on the front forks, Multi spoke alloy wheels, same handlebar, tank, exhaust, same brushed aluminum fuel tank lid, which is very cool attention to detail thing on the Street variants. 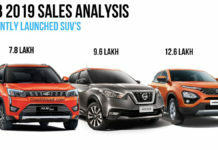 Styling elements only went wrong according us in two things such as levers and side stand which should have been black instead of chrome like the Cruise 220 for the Street variants. 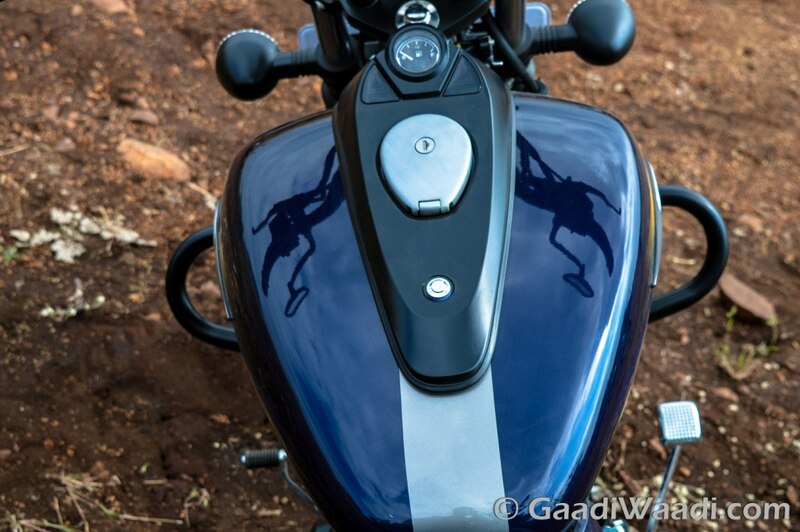 The navy blue scheme with cool stripes on front mudguard and tail piece along with on the tank add a lot of character to the motorcycle. Adding more to excitement are the pin stripes which look super cool yellow and white stripes when you look at the tank, authentic cruiser feel is guaranteed. Both things have also been revised. However, the round pod remains the same which shows, trip meters and odometer and comes with the trip button. The rest of indicator lights are on the tank in cruiser style on the black panel which is matt but the indicator casing is piano black. 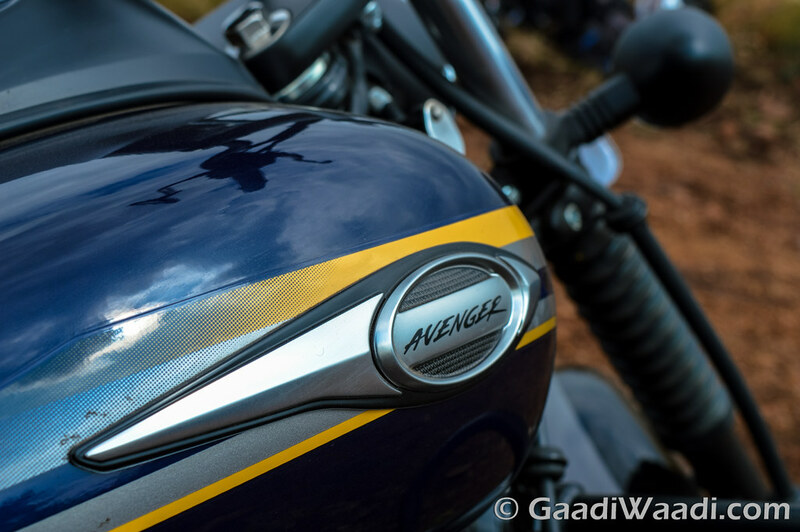 As we said, the detailing on the new Avengers is clearly a welcome move by Bajaj. Something seen for the first time if we are right, because we aren’t that old to remember what happened at the inception of the company and its products. Switchgear remains the same as before. 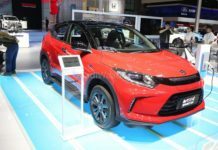 However, the quality of it has just a small step above and it remains a little too hard for touch and feel isn’t that great of the Pulsar series. There is pass light and engine kill switch, but we wished for a conventional pass light switch. The Avenger has a unconventional button, but one should easily get used to it. Bajaj has also installed 55v bulbs on Street 150 which is a good thing considering the importance of lights on cruiser motorcycles. 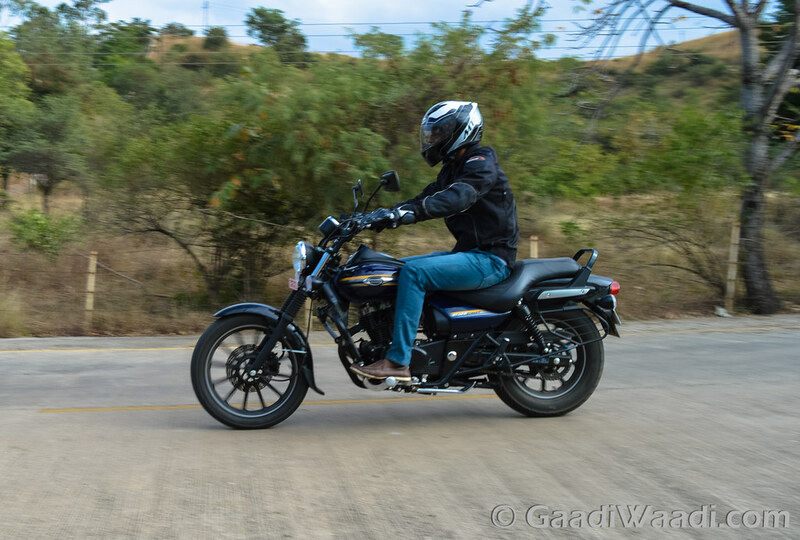 Cruisers are known for comfortable riding position and Bajaj has made sure it’s even more refined than the impressive last generation. Pegs, bars and seating position all fall into right position. All thanks to refined positing on all three aspects. Footpegs are new and more solid and accommodating to #10 shoes. Seats are wider and well cushioned for rider. Seat for pillion seems short at first sight, but it is fairly accommodating then before. 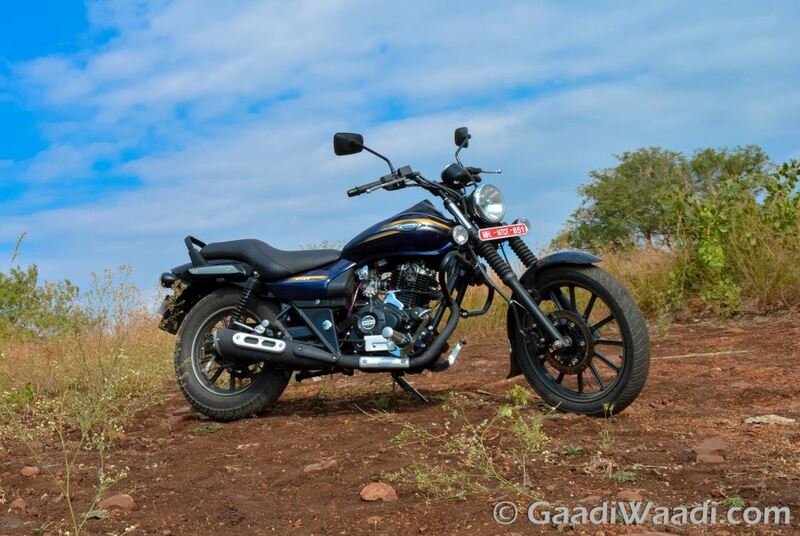 The 150cc engine is turning out to be a gem when it comes to every motorcycle Bajaj is introducing. 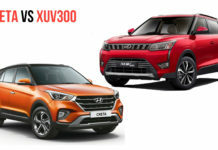 The Discover saw a massive leap, the AS 150 is also very impressive according to its role and the Avenger 150 takes it a step further. 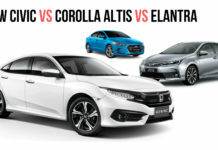 More focus on low-end torque and better top-end capable unit has been witnessed here today. Throttle response is a lot more smoother and power delivery much linear than expected. 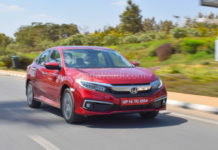 Mid range is slightly weak as it is pulling a lot of weight but top-end, once the slow cams kick in it has surprisingly high top speed of 130 km/hr speedo indicated. For a heavy rider on board and heavy kerb weight it’s quite impressive. The engine that said makes best used of 14.5 BHP and 12.5 Nm of torque. 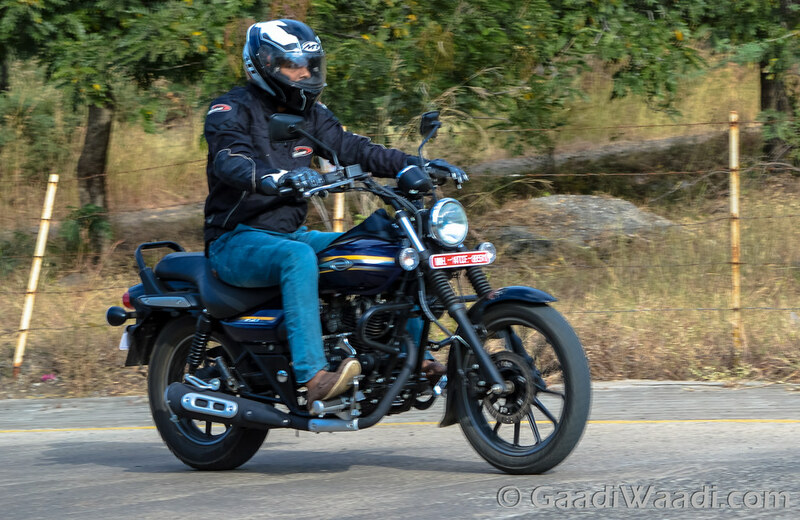 Engine note, in true Bajaj tradition, remains screamy and brash, but now more pleasing to the senses thanks to the sporty exhaust note. 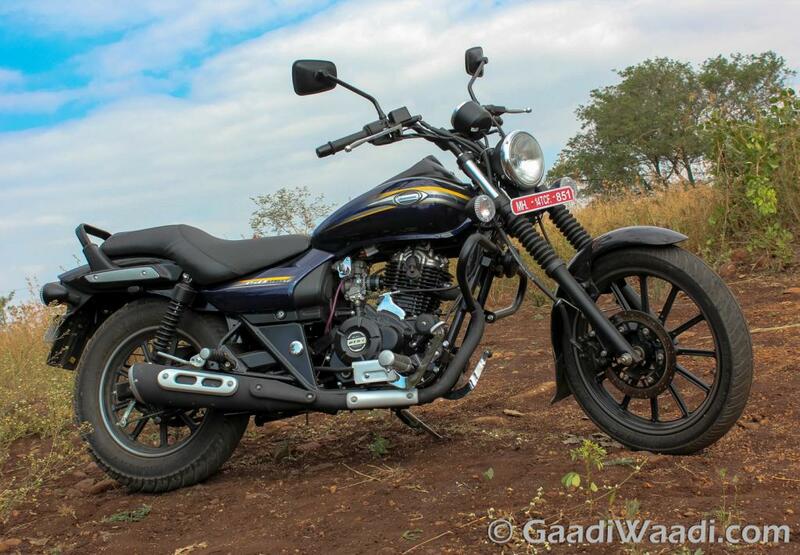 Bajaj has also solved their redline issue since a very long time. The rev limiter doesn’t keep it hitting itself again and again now, it stays put. Full marks for solving a problem of a decade, today! After that vibes kick in but only at the pegs, not the handlebar thanks to heavy bar end weights. 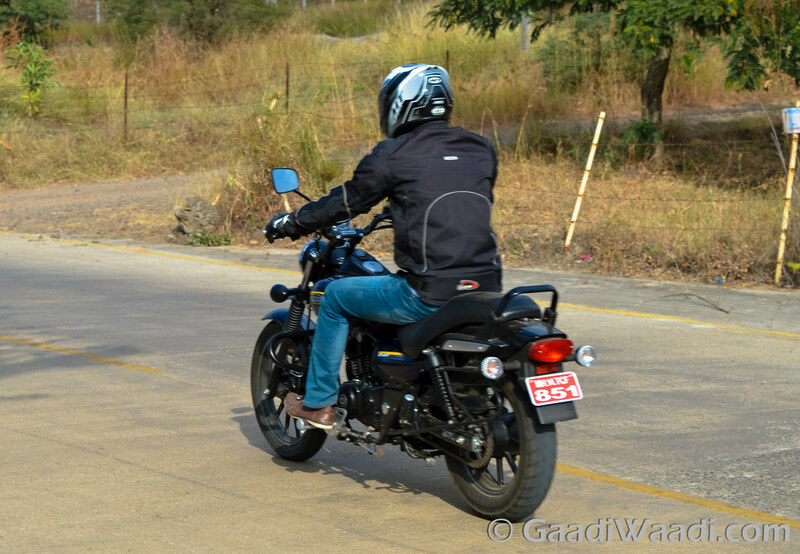 Vibes should be down by a subtle margin, not much post it first service as we witnessed bikes that were used to the limit before the engine breaks in. 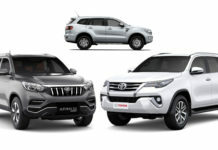 Overall, a slick job with performance, engine refinement and driveability on all type of roads. 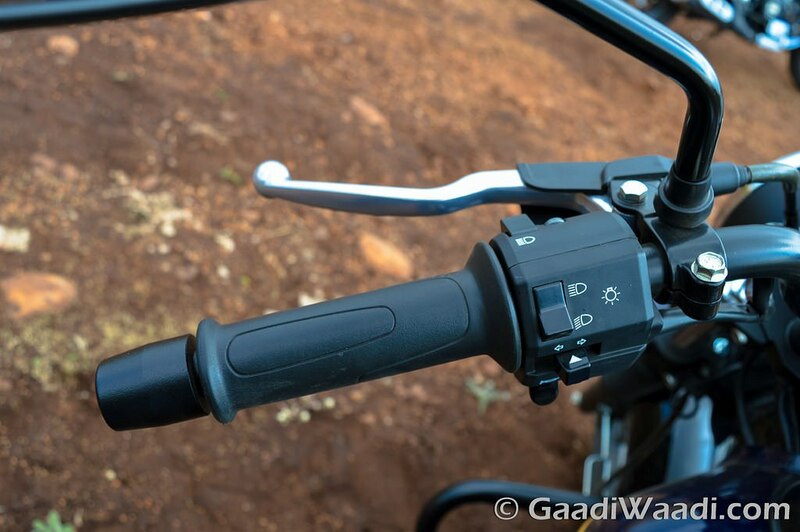 Riding on the same chassis and swingarm of the previous generation there is very little change to the 220 variants. 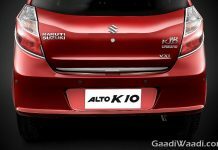 However, the 150 has 2 kgs less of kerb weight, 10 mm wheelbase reduction and height and width lower than the 220 siblings by a small margin. 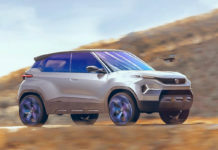 Bajaj has made the chassis more tauter, stiffer and better at changing directions thanks to slightly revised front-end geometry. Suspension has been heavily revised and thanks to a linear engine, the suspension responds smoothly and isn’t doing random things anymore. 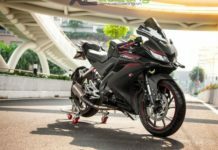 Result it is more composed and agile motorcycle. 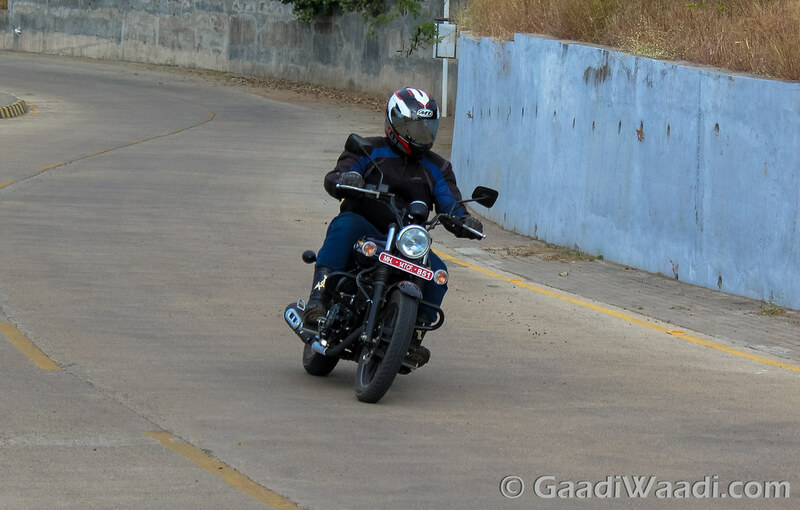 The Street 150 surely feels as big and composed as its elder siblings while being a notch up in changing direction and lanes on highway at high or low speeds. Ride quality is good, but the only gripe we have that enthusiastic riding show, the rear is softer and could be little more stiffer. 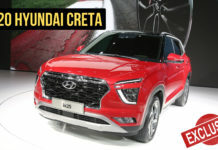 Most cruiser riders are of calm mind and won’t get mad behind the bars and hence will enjoy its composed nature, good ride quality and excellent stability at all speeds. Brakes are endurance unit and not Bybre, so the feedback and performance isn’t feedback rich but it does job very well with good initial bite and progressive braking being offered. 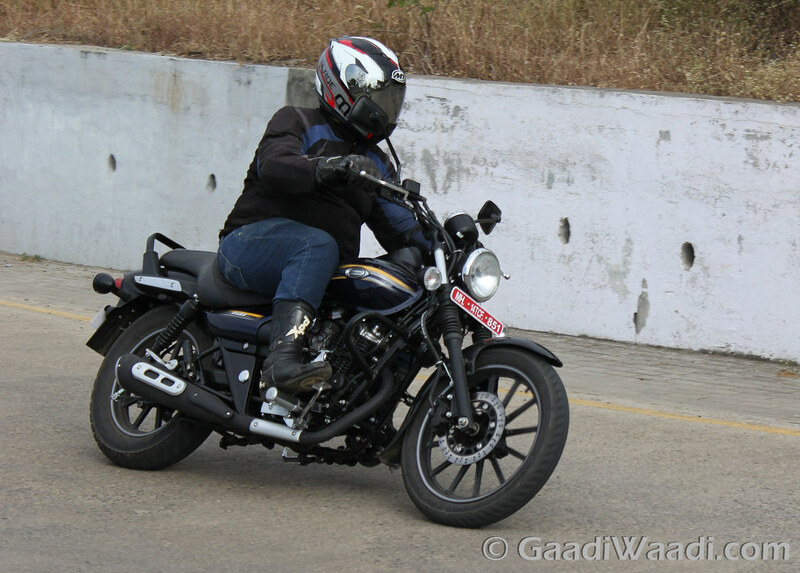 Frankly, when we were coming to test the 150cc variant, we weren’t too sure how it is going turn out. First impressions were not that good too. However, after twisty treat and an open ride on the highway changed our mind and made differences of almost day and night. We’d say, just on the power train the Avenger 150 is a solid package. 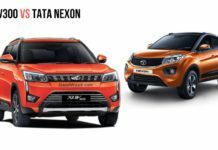 Leave alone, the elder sibling handsome looks with that gorgeous navy blue scheme with pin stripes makes it already a winner, given the fact our market loves Cruisers and for us 150cc segment is the starting of a premium biking. The Avenger Street 150 may be the Hawkeye of the Avenger clan, but we know he makes a lot of difference to the team.